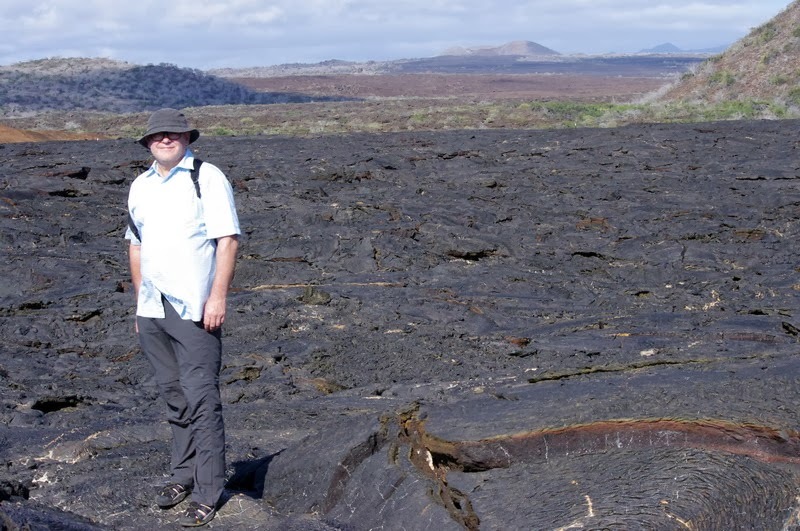 Sullivan Bay is especially fascinating for those who are interested in geology and volcanology. 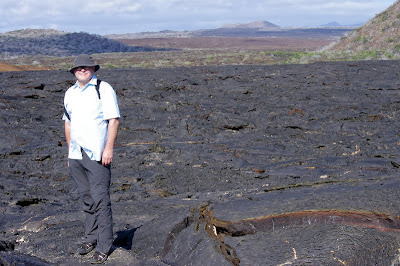 There is a path of about 2 km, where we walked over the uneroded, black lava flow covered with lava bubbles and tree-trunk molds in the surface. The area is covered with solidified lava flows in a corrugated or accordion. This area was very active in the last 25 years of the nineteenth century. Lava from Sullivan was formed in 1897. It's a very young geologically flow. The magma formed is flat, but the movement of underground lava, the rapid cooling and other eruptions led to the break in many places. Sullivan Bay is located south-east of Santiago Island. It is of great geological interest. Here you can see some amazing lava formations, the result of a volcanic eruption in 1903. This is an excellent example of colors and shapes that contrast with lavas typical of other older types. Volcanological formations attract students and scientists from all sides due to the capricious formations. 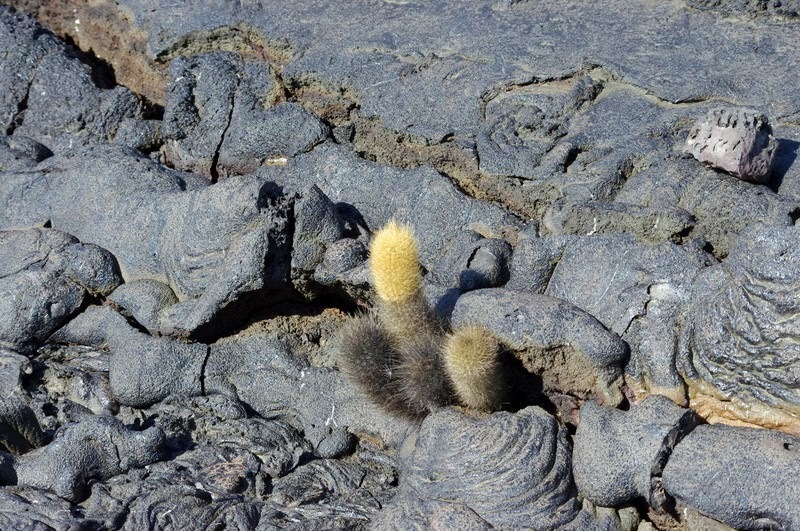 Sullivan Bay has an elevation of 114 meters, where you can observe sea and land birds, a colony of fur seal and black marine iguanas have adapted very well to this field.